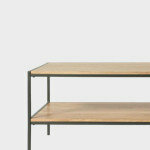 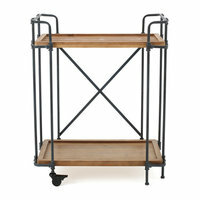 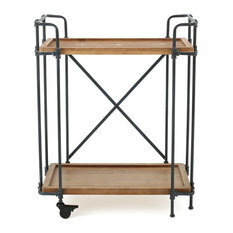 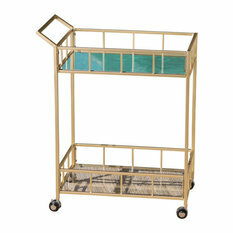 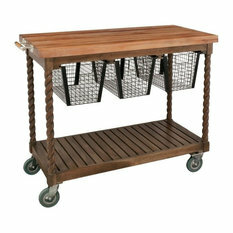 This bar cart features fir wood trays encased in an iron frame. 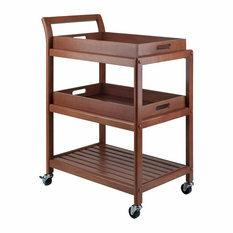 With a sturdy build and two wheels for easy movement, the cart is both stylish and compact. 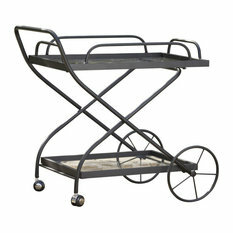 You can serve your guest and then leave the extra food and drinks on the cart, off to the side, for easy access later when you and your guests want more. 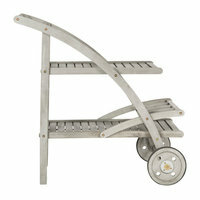 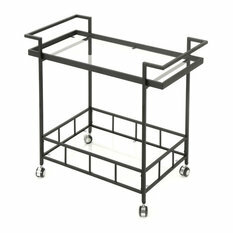 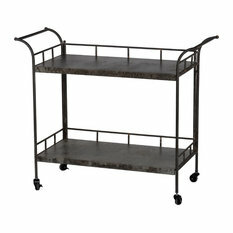 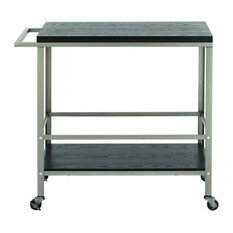 The prefect addition to any patio, this bar cart is a must have. 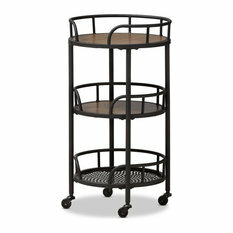 W 17.25" / D 28" / H 33" / 16.76 lb.